In order to perform any repairs or upgrades on your gun, you need to know the name and function of all the parts. 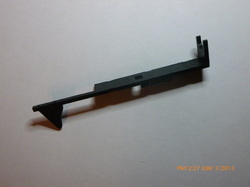 There are several designs and types of parts on the market. However many can be very bad for your gun. This should give you an idea of what to look for in each individual part for the best performance and longevity of your airsoft gun. Spring: The Spring pushes the piston forward at high speeds to force the air out of the cylinder. The air then hits the BB and pushes it through the barrel at high velocity (usually 200-400 feet per second). Of course, this requires the spring to be compressed by the piston. Every time you shoot your AEG, your spring compresses and decompresses all in less than a seconds time (usually). The more powerful the spring, the higher the muzzle velocity of the airsoft gun. 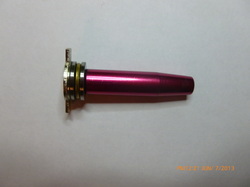 For example, on average, an M100 spring will produce about 360-380 FPS, but an M120 spring will produce about 410 FPS. Finally, most basic stock AEG's, especially sport line AEG's, will come with liner springs. Though these springs are okay for a basic AEG, if upgrading or running a 9.6v battery or higher. The first thing you should do is install a non-liner spring (such as the one seen on the left). They reduce gearbox stress and increase performance. 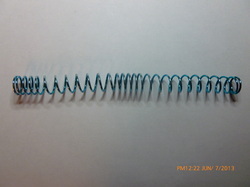 Liner springs are likely to snap under even low stress. Spring guide: The spring guide is an important part that keeps your spring aligned. Without it the spring would bend and jam the gearbox. 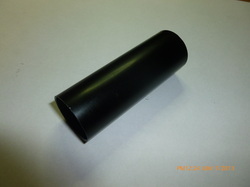 A good spring guide has bearings (as shown on the left), it helps your spring decompress smoother, as it allows the spring to twist while it is being compressed and decompressed. Other than bearings, a good spring guide should also be made of metal. Piston/piston head: The piston pulls back the spring and, when released by the sector gear, pushes the piston head forward. The piston head draws air into the cylinder as it is pulled back by the piston. Once the piston is released the piston head pushes the air out of the cylinder at high speeds. Most pistons are made from polycarbonate, and have a single steel tooth. Such as the one on the left. However some pistons are reinforced with materials such as nylon. And have 10 or even more steel teeth. Steel tooth pistons are more likely to damage gear box's if installed incorrectly. But also provide many benefits. Such as durability. 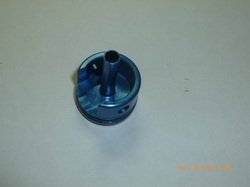 A basic piston head will be made from polycarbonate, and have a single O-ring. However many upgrade piston head are made from aluminum and even have double O-rings. 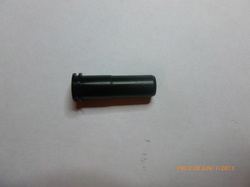 - Most upgrade part brands, preferably polycarbonate or similar. NOT aluminum. Cylinder head: The cylinder head is the part that all the air moves through after being compressed and pushed out by the piston head. It takes the impact of ever cycle so it is important that it is well made. Most aluminum cylinder heads will do the job. piston back, so a bb is loaded for each cycle. first thing you consider upgrading. As this will greatly increase you AEG performance. Gears/anti reverse latch and bushings: The gears operate the piston, and tappet plate. They move at fairly high rpm and should be made from high quality steel. You can purchase gears with different ratios for speed or torque. High torque gears are meant for pulling heavy springs but are not really necessary as a good high torque motor on standard ratio gears can pull an m170 spring. High speed gear are obviously meant for high speeds and RoF. The anti revers latch acts as a stopper and prevents the gear from turning any direction but forward. Again, this should be made from good steel. 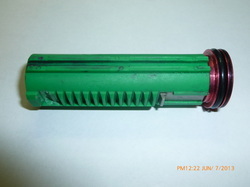 The bushing are the holes in which the gear shafts are mounted. They should be made from steal and plastic bushing should be replaced as soon as possible. Motor and pinion gear: The motor is the source of power for the whole gear box. 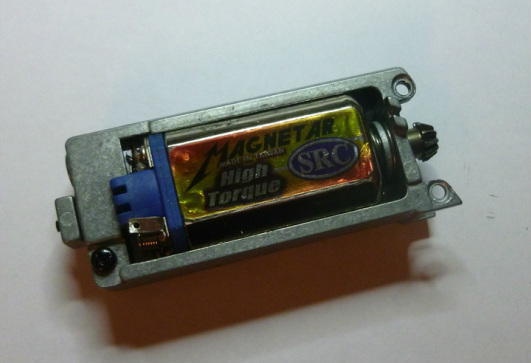 High torque motors are the most versatile as they move at decent speed and are capable of pulling most springs. Some people switch to high speed motors, however, they are not capable of pulling larger springs so you normally have to sacrifice fps. The pinion gear on the motor shaft meshes with the bevel gear and allows the motor to power the gear box. The gear like any other, should be made of high quality steal. 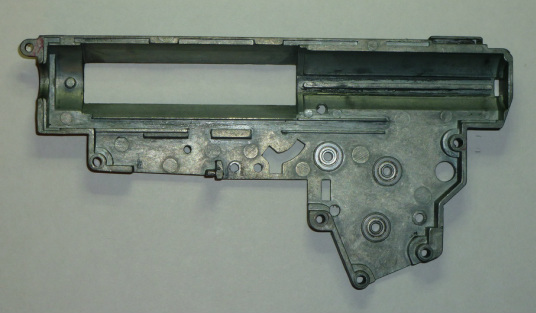 Trigger assembly/auto cut off lever: The trigger assembly and auto cut of lever essentially tell the rest or the gear box what to do. The trigger is an electrical switch that complete the electrical circuit of your AEG and activates the motor, therefore, firing your gun. The auto cut off lever is engaged when the gun is in semi auto mode. The auto cut of lever cuts the power to the gun after one shot, creating a semi auto firing mode. Gearbox shell: The gearbox shell is what holds everything in place, it is pretty much a shell that everything goes inside. There are several versions of gearbox's. Version 2, and version 3 gearboxes are probably the two most common. The different versions fit into different types of gun, for example an m4 will usually have a version 2 gearbox. 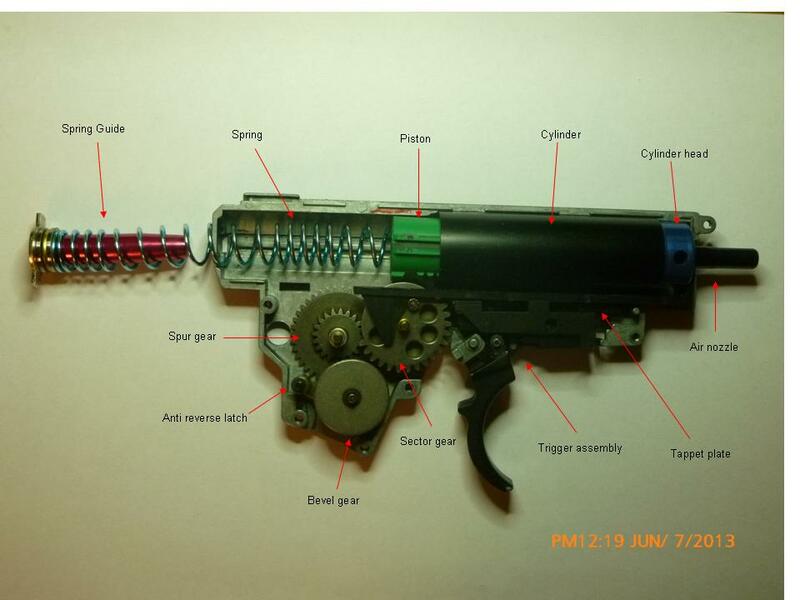 The version does NOT state how good the internals are, they are simply different gearbox shell types that fit into different guns. Some gearbox shells are reinforced, so they do not crack at week points. The shell takes most of the impact of the piston and the force of the gears.